If you become a beekeeper, you're going to produce honey to sell. 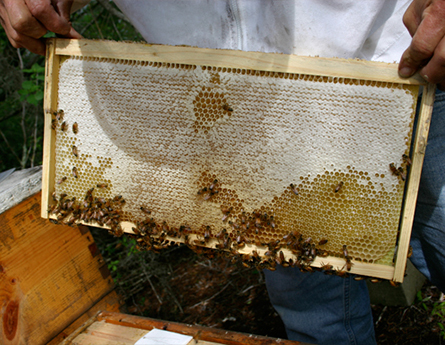 As beekeepers, we make a variety of honey that other beekeepers make as well from Orange Blossom to Gallberry honey. We wanted to break out of that club so we decided to sell a type of honey that no other beekeeper could; honey that nobody else makes. We wanted a strain of honey that nobody has heard of. That's a big task for a local beekeeper to accomplish. We wanted it to be a monofloral honey (single floral) and that was going to be tough in our area. But we found a solution. New Smyrna Beach is the oldest city in America. With that said, because of the Intracoastal Waterway (looks like a river but it's really a lagoon from Miami to Maine), the Mosquito Lagoon known locally, has the world's largest concentration of mangrove plants. Nowhere on the planet does this plant grow in such concentrations, 2 miles wide and 13 miles long. After some research, we found that back in the 1800s the lagoon produced honey, but no honey was being produced there currently. That's because it's illegal to place beehives or commercial operations within the boundaries of the lagoon. The state of Florida owns the islands and it's controlled by the Department of Environmental Protection and it's enforced by the Marine Police. After determining that the mangrove plant honey could be produced in the Mosquito Lagoon and that it was a quality product, we wanted to do it on a mass scale. As such, we put thousands of beehives out there but we had to get permission from the Department of Environmental Protection. 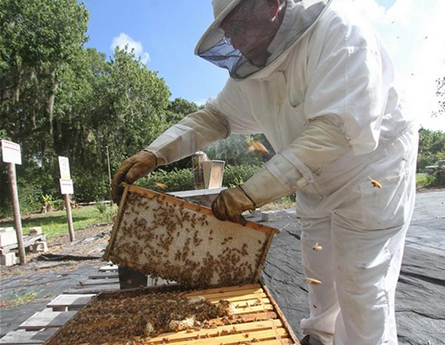 A week before we went to their office to ask permission to put our beehives out there, former Florida Governor Rick Scott had called the Department of Environmental Protection and gave them the initiative to do whatever it took to help in the recovery of the mangroves from the horrible freeze of the 1985/86 winter. This was the winter that was responsible for the Challenger shuttle explosion due to the frozen O-Rings. 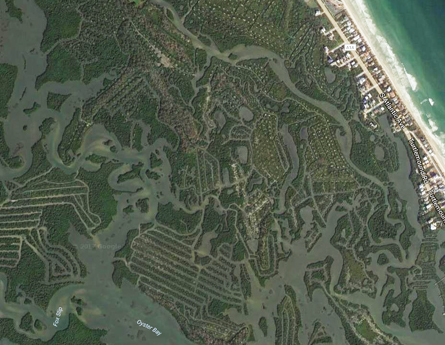 It's taken over 30 years for the mangroves to recover from that freeze. So, when we went to the DEP to request a permit, the workers laughed because they just had received the initiative from the governor. However, nobody had ever asked to put beehives out there so they didn't have a permit for it. In response, they created a permit for us with the number "001," indicating that we would be the first beekeepers in Florida to have this permit. The permit would give us exclusivity. 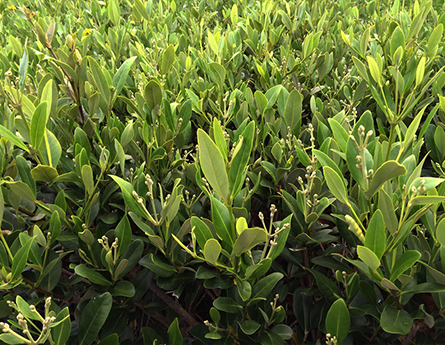 We are the only beekeepers to have permission to utilize a certain area of mangrove. We selected the entire lagoon that's 2 miles wide and 13 miles long. 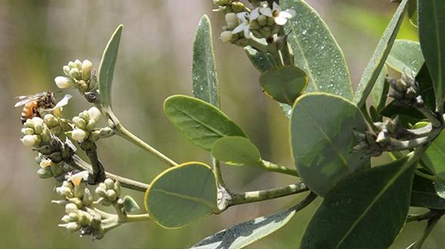 This area produces a one-of-a-kind honey that bees can't produce in other areas with mangroves. Nobody can produce mangrove honey like ours. Our product is the purest mangrove honey on the planet. We've been doing it for over 8 years and our reputation in the industry is growing. It's all thanks to the popularity of this unique product. Our mangrove honey is absolutely unbelievable. You will have an "Oh My God Moment" when you sample it. When we're doing honey sampling, we tell our employees to watch for the reactions of our guests, and it's either "Oh my God or Oh WOW"! It's that different from all the other honey we offer and it's that good! We don't care who you are or what you have; we will put our mangrove honey up against any other and it will win the taste test with a 5-person panel.